Smart technologies are already delivering benefits to the enterprise – is your business one of them? Is your business benefiting from smart technologies? Are you ready to grow your business’ revenues by 33% over the next five years? Our global research of business and IT leaders say they believe they are on the path to achieving this goal – among many other benefits – as they adopt more smart technologies in the enterprise. Commissioned by Avanade, a new global study of 500 C-level and IT executives across nine countries, reveals where successful business and IT leaders are investing in smart technologies, what benefits they are already realizing, and what opportunities lie ahead in the digital workplace of the future. Smart technologies are driving improvements in revenue, customer experience and employee satisfaction. The rise of smart technology and intelligent automation is changing the workplace – and the workforce. Business and IT leaders are already adapting and reaping the benefits of these technologies in their organizations, and the majority expect to retrain current employees, create new roles and reorganize their structure. They also believe roles will evolve and the enterprise will need to focus on emerging digital ethics issues as more smart technologies report to work. 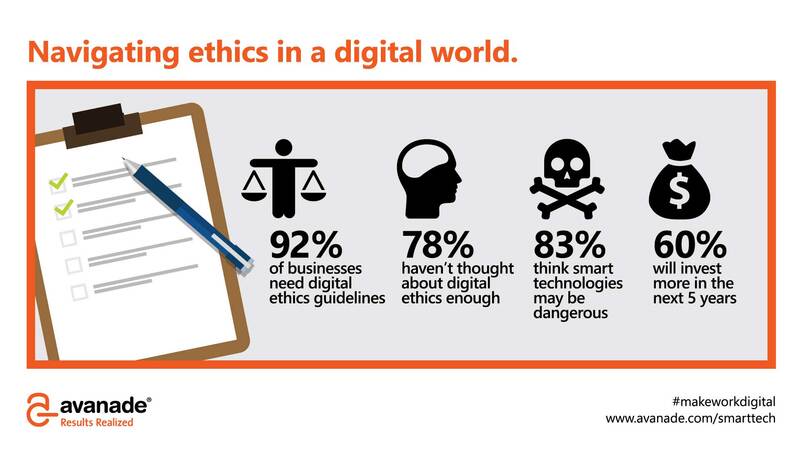 In addition, the survey highlights the need for companies to address the new digital ethical issues that are emerging from increased use of smart technologies. 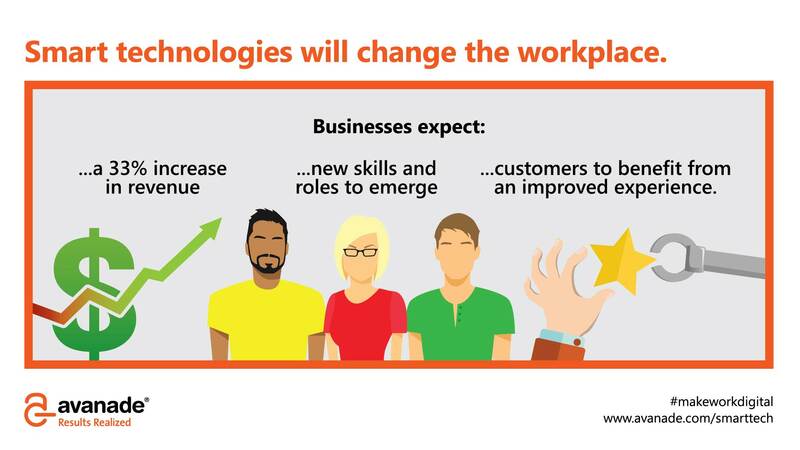 Smart technologies are already delivering benefits to the enterprise. A new priority in a digital world. Establishing and maintaining digital ethics parameters. Get ready for the AI-first world. Most organizations aren’t. Find out why – and what you need to do to prepare. How will IT influence technology decisions in the future? Learn more about how the findings of our smart technologies research apply to your business.